Fish for trout in the beaver ponds, lakes and streams surrounding Aspen. Go on a full-day fishing adventure up to pristine lakes. If the fish aren’t biting, one of our favorite activities is mini-fishing. This is fishing for 2-6 inch blue gills where the fish are almost always hungry and campers have been known to catch 50 fish in an afternoon. 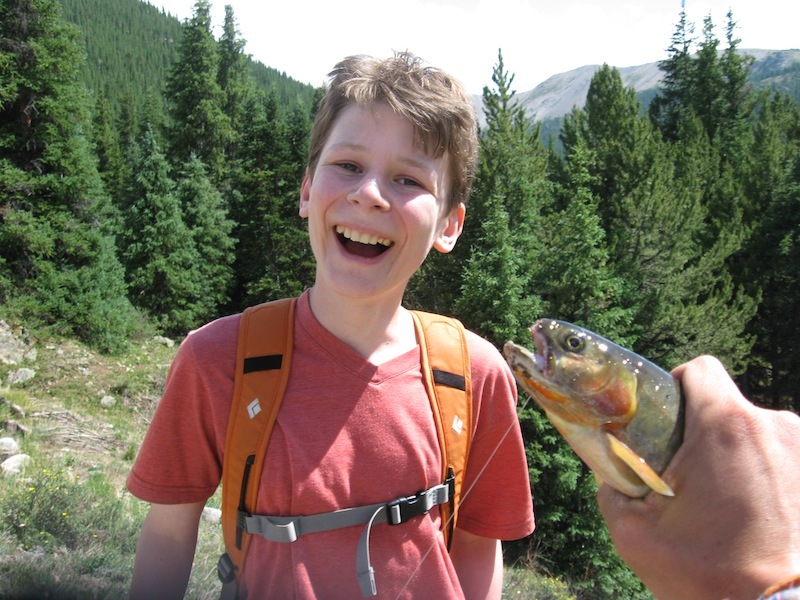 Campers can eat their trout only if they learn the process “from hook to plate”.